By a razor-thin margin, Boulder citizens gave the city a victory for energy self-reliance on Tuesday, approving two ballot measures to let the city form a municipal utility. If the city moves ahead, it would capture nearly $100 million currently spent on electricity imports and instead create up to $350 million in local economic development by dramatically increasing local clean energy production. The stage was set over several years, as the city’s multiple pleas for more clean energy were given short shrift by the incumbent electric utility, Xcel Energy. Instead of meeting local demands for more wind and solar power, Xcel instead financed a new coal power plant and told Boulder that it could have more wind power only if it paid extra, and paid when the wind didn’t blow. In response, the city authorized two measures for the Nov. 1 ballot to allow the city to pursue municipal clean energy production. The campaign was enormously lopsided. Xcel dumped nearly $1 million into a vote ‘no’ campaign, outspending local clean energy supporters by a 10-to-1 margin and spending nearly $77 for each no vote. On the flip side, nearly every local business or newspaper endorsement (and nearly 1000 individual citizen endorsements) supported a ‘yes’ vote. Despite the financial disadvantage, the local grassroots groups won, though their margin of victory was less than 3%. The victory margin was small, but the clean energy and economic opportunity is enormous. According to a citizen-led and peer reviewed study, the city could increase renewable energy production by 40 percent from multiple, local sources without increasing rates. In contrast to the $100 million in revenue sent to Xcel under the current arrangement, the economic value of local energy production and ownership could multiply within the city’s economy to as much as $350 million a year, according to research by the National Renewable Energy Laboratory. 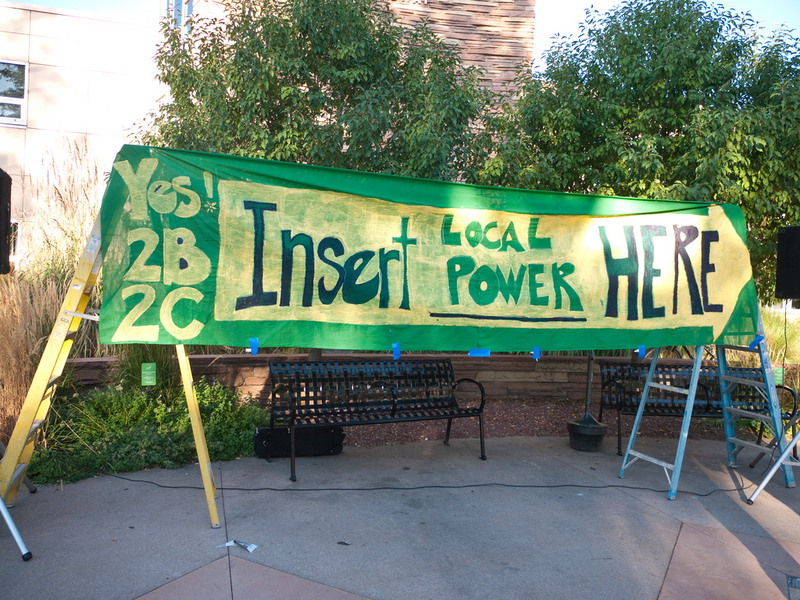 If the city uses its new authority to become a utility, future generations may look back at 11/1/11 as the shot heard round the world – a shot fired for clean, local energy – and ask why more Americans didn’t “go Boulder” sooner.